Welcome to the eighth edition of our weekly curated news article where we provide you with the widest possible overview of the most important events that have transpired in cryptocurrency and blockchain developments. We’ve made sure to analyze all of the news reports available on the internet and reviewed them for relevancy. 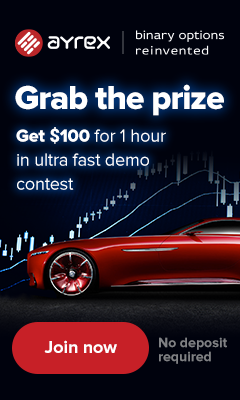 This article is best suited for weekly traders and people with a packed schedule that want to satisfy their interest in cryptocurrency and blockchain with a minimal time investment. The FBI is requesting Bitconnect victims to step up, Russia to release oil-based cryptocurrency after new cryptocurrency regulation in March, Korean Exchange Coinbin files for bankruptcy after executive destroys wallets holding $26 USD million, Dutch Bitcoin trader assaulted and tortured in his farmhouse, French President Emanuel Macron sees blockchain solutions in the future of European agriculture, India’s Supreme Court gives the central government a deadline to come up with clear rules and regulations for crypto and blockchain, and a record tokenization deal in Miami, Florida. These are the featured stories you will find in this article. For the first part of the week Bitcoin kept at a stable sub $4000 level, at times briefly breaching the ceiling. 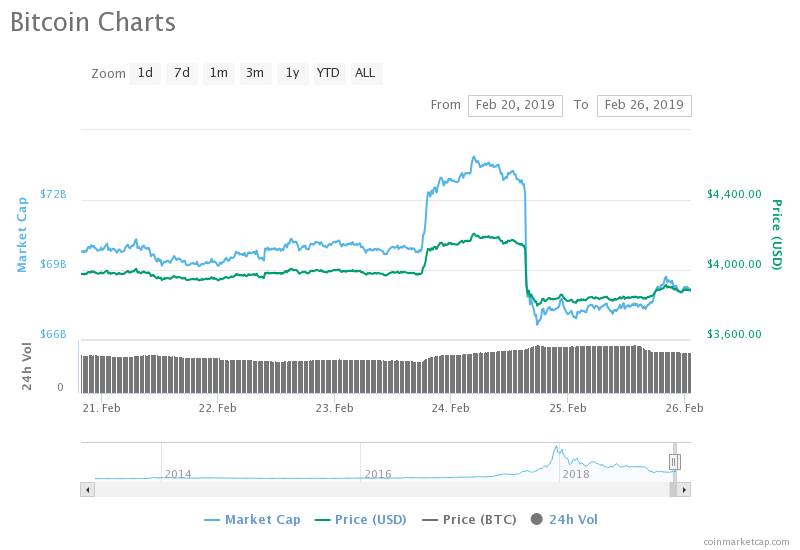 On the 23rd of February a significant spike shot the price to $4150+ levels, but a correction followed in the next 24 hours, bringing the price down to $3850 levels. It has started to slowly recover and rise to the $4000 mark since then. According to a report by News 5 Cleveland the FBI has started to investigate deeper into the Bitconnect Ponzi scheme. They are now officially looking to address the public and have requested potential victims of the BCC scandal to step up by completing a survey on their official website. 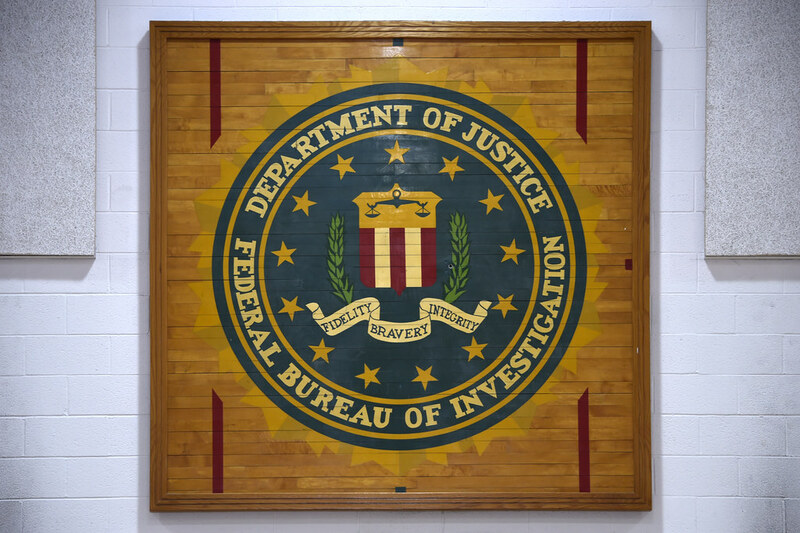 The official request by the FBI does not provide any promise to return any lost funds if you are a victim, but the potential for redemption is here. There is a silver lining for the collective amount of people that lost an estimated $2.5 to $ 3.5 billion worth of investments. Bitconnect started in November 2016, and shut down a little over a year ago in January 2018. The shut down was preceded by two U.S. security regulators warning the public of the Ponzi-like nature of the platform. Bitconnect was an obvious scam looking back at it, but a lot of people were blinded by the promise of 10% monthly ROI on their investment. It’s important to place emotions on hold when encountering offers that are either too good to be true, or difficult to verify their authenticity. If you know anybody that was an investor in BCC, send them this article or the links above and maybe they will be motivated to share information with the FBI regarding their loss. Russian business publisher “Prime” spoke with a couple of key Russian officials and revealed interesting information about the direction that blockchain and cryptocurrency are taking within the country. The publisher spoke with the head of energy corporation “Energia” Igor Yusufov, State Duma Energy committee member Oleg Nikolaev, and the national Minister of Energy Igor Khanukovich to discover more about the Russian outlook towards the implementation of an oil-based cryptocurrency. The timeline of this implementation requires the adoption of a cryptocurrency specific law which is due in March according to Nikolaev. Once set in place, he believes it will give blockchain and cryptocurrency the opportunity they need in order to develop in the Russian Federation. Former Minister of Energy, Igor Yusufov has transferred the duty of developing and implementing an oil-based cryptocurrency to current minister, Igor Khanukovich. He believes that energy resources represent a truly tangible asset which is suitable for blockchain technology and cryptocurrency. In his own words, he explains that he sees several options for implementing blockchain as it relates to oil production or CO2 emissions. He adds that the cryptocurrency will enable the exchange of gas and electricity, as well as provide effective methods for collecting and processing analytical information. He says: “The traceability of the transaction trace, characteristic of the blockchain, will ensure the origin of each barrel and verify the entire chain from production to the final consumer without additional costs.”If implemented and supported this will enable the oil industry in Russia to reap real benefits from implementing blockchain, such as improved trade, lessen the effects of economic sanctions, and enable the effective measurement of the system. The oil cryptocurrency is expected to be used across all oil providers and producers in the CIS region. According to a report by BusinessKorea, Coinbin a Korean cryptocurrency exchange filed for bankruptcy after an executive purposefully destroyed the exchange’s wallets and digital keys causing $26 USD million worth of damage to the company. The exchange was left unable to cover it’s operational costs has shut down the entirety of it’s operations. The executive responsible for the damage was the CEO of Youbit, which was acquired by Coinbin after suffering a $16 USD million hack at the end of 2017. Coinbin has since managed to recover operations and client trust, but it seems that a significant amount of jealousy has led the former CEO to abuse his executive position. The exchange’s CEO, Park Chan-kyu, explains that the clients of the exchange are to be reimbursed with cash and cryptocurrency settlements according to national bankruptcy procedures. This story showcases the dangers of keeping your crypto on an exchange and the need for decentralized solutions where the possibility of human error or malevolence is limited to the user. Cryptocurrency exchanges have experienced internal hacks before, and most likely all cyber attacks involved some internal activity which enabled them to be successfully executed. Dutch news publisher De Telegraaf reported the incident of a robbery which involved three individuals dressed as police officers invading the home of a cryptocurrency trader on the 10th of February. After successfully subduing the trader, the criminals proceeded to torture him in order to get him to facilitate the transaction. Many details have been withheld from the public, but what we do know is that they used a drill to torture the man into giving them his cryptocurrency. The trader identified as Tjeerd H. at age of 38 was assaulted in his own home in the village of Drouwenerveen and was tortured in front of his four-year-old daughter. The man luckily survived, and it is not clear if he gave the robbers what they supposedly came for. De Telegraaf has tried to contact him, but he remains unavailable for leaving a comment, and the police are withholding a lot of information for research purposes, which is understandable. The medium, however, has reached out to sources in the police, who have presented information that the case is indeed related to the man’s Bitcoin and trading activities. We will come back to this story if more details appear, but this dramatic display of violence should inspire more people to keep their identities a secret and to abstain from using cryptocurrency for criminal activities. To speculate, this event can be correlated with many different situations. The man himself might be involved in a money laundering ring or a criminal organization which uses the currency to facilitate the exchange of weapons or drugs. The fact of the matter is that physical security is a real threat for cryptocurrency owners, and this is not the first case which included violence. Recently, a former Bitcoin Core developer based in the U.S. was targeted by a “Swatting” attack. The attacker summoned the police by making a false report that the developer, Jameson Lopp, has shot and killed a family member, is holding the rest of his family hostage and has placed C4 explosive on the door of the house. You can read his testimony of the event here. Fact of the matter is, keep safe, be careful who you associate with, and don’t fall into the trap to boast with your wealth in public. That’s how you get targeted. Stay safe folks. During the 56th International Agriculture Fair in Paris, the country’s president called for implementation of blockchain solutions for the national agriculture and international trade as reported by Coin Telegraph. A large part of his speech was pointed towards the need for developing the African continent as an ally of Europe. Additionally he discussed the value of promises made to the emerging agricultural population in Europe, promises which will provide security and protection from climate risk, as well as market deficiencies. The president continues to add one final touch to the needs of the market, and discusses the importance of implementing better and better standards, mentioning blockchain as a very important technology for the European agricultural producers to adopt. He says, “Let’s do this in Europe, the avant-garde of agricultural technology, by developing tools that will track every product from raw material production to packaging and processing. The innovation is there and it must be used in the agricultural world, it must be fully used because it is at the service of shared excellence and it will serve the consumer.” Macron, in his speech demonstrates a clear understanding of the benefits that blockchain technology can provide the entire industry, including the consumers. He explains that agricultural producers cannot hope to compete with a better market price if they are implementing the same standards, and he envisions blockchain technology is providing new qualities to the European CAP standard in the future. The Supreme Court of India is pulling the plug on the evasiveness of the Indian Government and has mandated that they come up with a clear list of rules and regulations in regards to cryptocurrency and blockchain by the end of April, as reported by AMBcrypto. In the case the Government fails to adhere to this limitation, the Supreme Court will define the rules for cryptocurrencies and blockchain technology by itself, disabling any opportunity for the government to contribute. With the ongoing challenge on the cryptocurrency ban in India, there are hopes for a bright future for crypto in the country. Sangeeta Gupta the vice-president of India’s National Association Software and Services Companies (NASSCOM) explains that the country must move decisively and fast in order to provide regulatory clarity for the technology. NASSSCOM prepared a report that detailed all of the citizen benefits brought forth by blockchain, but more critical than this is the very fact of the limited amount of investment that the country has seen due to it’s negative legal stance. According to the report, only 0.2% of the total investment on a global scale has found itself in India. Google Map Street View of the building discussed in this section. Inveniam Capital Partners, an investment company has acquired a piece of real estate in Florida, Miami. The building valued at $65.5 USD million is going to become the record-breaking real estate deal being handled in this way. The plan is to issue tokens which will provide transparency for investors as well as make all of the legal documents connected to the deal searchable, as reported by Coindesk. Unfortunately, the dream of having an easy way to become an owner of a company or business using any amount of cryptocurrency is not becoming a reality with this project. The company is limited to accepting investments only from investors that have more than $10 USD million in crypto, with a minimal investment of half a million dollars. However, they will be accepting all of the top 50 performing cryptocurrencies, which significantly increases the chances of finding suitable investors for the building. 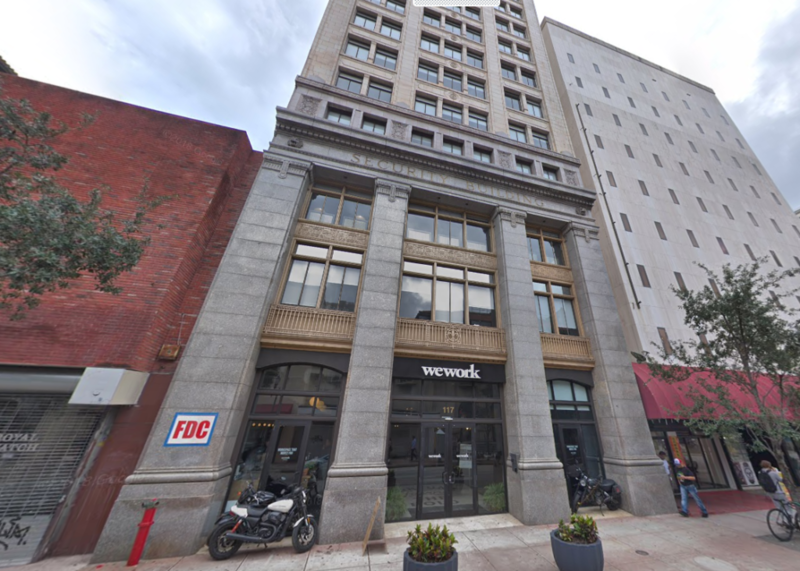 The property is currently a WeWork occupied building in downtown Miami and it is unclear whether the purpose of the building will be changed to something else, details withheld for approved investors. This may be the future of real estate, enabling a variety of investors to participate in the purchase of a property seamlessly and with full transparency. Hopefully in the future, capital restrictions will be completely removed, enabling anybody in the world or at least the country to participate with as little as a dollar in a real estate investment deal. Featured Images via Pexels, Google Street View and Unsplash. Market data from CoinMarketCap.